The Damage of Moderation – How Bad is Beer? 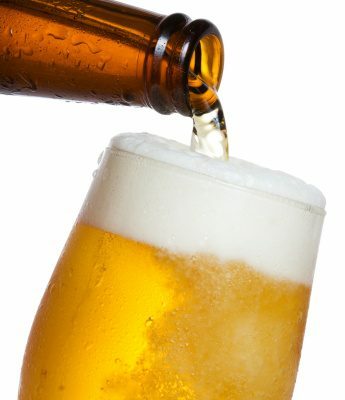 Home » Weight Management » Diets » The Damage of Moderation – How Bad is Beer? Go easy on the beer drinking…that’s what we’ve always heard, but some evidence seems to suggest drinking in moderation has some health benefits. Drinking a lot of beer comes with a price; not just a price tag, but a health price. It can cause serious health damage including high blood pressure, cirrhosis of the liver, pancreatitis, certain cancers, stroke, and even sudden death. A can of beer contains about 150 calories so throw several of them back and you also have a recipe for weight gain that in itself can lead to a number of unhealthy conditions. Does this mean you should never enjoy beer? Scientific studies seem to indicate beer isn’t really that bad. In moderation, some research shows drinking beer can be a healthy part of our diet. Published studies, including those conducted through the University of California and Harvard suggest there is nutritional value in beer. Beer after-all does have antioxidants that are known to protect us from disease. Beer also contains vitamin B, folic acid and fiber. The overall nutritional value of a glass, bottle or can of your favorite brew does depend on the ingredients and how the beer was processed. According to one Harvard research team the antioxidants in darker beers have more phenols in them. This means they have more heart protection in them. For years studies have hinted that moderate alcohol consumption may lower the risk of heart disease by increasing lipoprotein or what is commonly referred to as “good cholesterol” in the bloodstream. Last year an Italian study that followed the drinking habits of over 200,000 people and heart health concluded that drinking a little more than 1 pint of beer per day with a 5% alcohol content reduced cardiovascular disease by 42 per cent. When they compared it with wine, the risk reduction was 31 per cent. Although they can’t say for certain, the researchers believe beer has a higher reduction factor due to the fact that it has phenols, while wine does not. Some researchers have gone on record saying they are surprised that beer companies don’t market their products as part of a healthy diet. They do remind consumers that the other extreme; excessive consumption, can damage organs. Back in January 2011, the American journal, “Diabetes” published a study by the Harvard School of Public Health that revealed something interesting about beer and diet. They reported that during a long-term study middle aged men who consumed moderate amounts of beer appeared to reduce their risk of type 2 diabetes. Among light drinkers the switch to moderate drinking seemed to reduce risk by 25 per cent. It’s not just your blood sugar you can keep in balance with moderate drinking; it is your skeletal system. Research shows that having just one or two drinks a day will also help keep your bones strong. A study a Tuft University demonstrated that moderate drinking is associated with greater bone density in men and women over the age of 60. Density loss is a risk factor for osteoporosis. Beer has always been linked with weight gain, hence the term “beer belly”. You drink lots of beer and you can potentially damage your organs and gain unwanted pounds we’ve been told. Recently, the Archives of Internal Medicine announced women could actually shrink with the drink. Researchers found that moderate female beer drinkers metabolize alcohol differently than those who are heavy or occasional drinkers. They tend to use more energy, burning the calories in the beverage. The research team is still trying to determine exactly why this happens, but this is good news for those who like to enjoy beer, but don’t want to have to worry about weight gain.